Heckart Genealogy and History | Iowaz iowaz@swbell.net | Fotki.com, photo and video sharing made easy. attle of Atlanta) of the gallant old regiment was overwhelmed by numbers, before surrendering they tore the old flag in a dozen pieces, concealed them in their clothing, so that it was never captured by the enemy. Thus, amid the thunder of artillery, the screeching of shells, the rattle of musketry and the wild shouts of men in their death struggle, the last remnant of the Third Iowa passed out of existence." 1 HECKART, William Boyd b: Bet. 26 Oct 1838 - Oct 1839 in Sec 3,4 farm on Salt Riv, T57N,R11W, 5mi SW of Shelbyville, Shelby.Co.MO d: 13 Aug 1933 in Oroville, Butte Co, CA Burial: Clear Creek Cem, Butte Co, CA Note 3: Son of John Adam Jr. Heckart & Elizabeth Boyd. Note 5: Bet. 1838 - 1848 Grew up (age 0-10) at Walkerville Mill run by Heckart's/Strayer, Salt.Riv.Twp, Shelby.Co.MO Note 6: Bet. 1848 - 1853 Age 10-15, Heckart/Strayer running Old Clinton Mill, Wash.Twp, Monroe.Co.MO. Note 7: Bet. 1853 - 1861 Age 15-23; in 1852-53 Heckart/Strayer built/ran Freeport Mill, Decorah.Twp, Winneshiek.Co.IA Note 8: Bet. 1861 - 1862 Age 23/24, enlists, Co G, 2nd IA Inf, 2nd Reg, private. Note 9: Aft. 1862 Age abt 24, transferred at corporal to Co D, 3rd IA Inf, 21st Reg. Note 10: Served Georgia campaign, Sherman's March to the Sea. Note 11: Wounded twice; served at Gettysburg, blinded eye, crippled arm. Note 12: Jul 1864 The 3rd IA was overwhelmed & passed out of existence at Atlanta. Note 13: Jul 1864 Portion of Co D, 3rd IA, captured at Atlanta, saved piece of battle flag; age 26, 3m in Andersonville prison. Note 14: 1865 Returned (age27) to Freeport.IA after Civil War, weakened/wounded. Note 15: Bet. 1865 - 1866 Father Adam had left for Butte.Co.CA, 3rd trip, capt. of 40 wagons, 140 people. Note 16: Bet. 1865 - 1866 Nursed back to health by John & aunt Eliz Heckart Strayer at Freeport.IA. Note 17: 1866 Wagon train (age 28) to join family on Heckart Ranch, Penze area, Butte.Co.CA Note 18: Feb 1873 Registered as farmer, Pence's Ranch, Butte.Co.CA. Note 19: Jun 1874 Registered as a miner in Plumas.Co.CA Note 20: 20 Sep 1876 Land transaction, T021N, R003W, sec 14, Butte Co, CA. Note 21: 1880 Census; 42y, ranching with father Adam, Penz area, Oregon.Twp, Butte.Co.CA Note 22: 1881 Listed: owning 240acres, Butte Co, IA. Note 23: 1884 Miller on Heckart's Pentz area Ranch, Butte Co, CA. Note 24: Jun 1889 Filed for war pension in CA, as invalid, Co D, 3rd IA Inf & Co G, 2nd IA Inf. Note 25: 1900 Census; running Heckart Ranch with bro Frank, mother, siblings, Butte.Co.CA. Note 26: 1900 ElizHeckart81, Wm60, Louise50, Franics48, Emma45; Boyd's, g/n Cora1886OctMO, Wm1888FebCA. Note 27: 1910 Census; working the Heckart Ranch, adj to bro Frank, Butte.Co.Ca. Note 28: 1920 Census; working the Heckart Ranch, adj to bro Frank, Butte.Co.Ca. Note 30: 1930 Census; retired, adj sis Emma, Virginia.Ave, Ora.Vista, Butte.Co.CA. Co.CA. Wm returned to Freeport, Winneshiek.Co.IA, from the Civil War, late in 1865, to find his father had just captained a wagon train on his third and last trip to California. William stayed with his Aunt Eliz Heckart, wife of John Strayer, then left for CA, early in the spring of 1866. Wm's drawing was sent back to John Strayer, then kept by son Val Strayer, passed to dau Winifred Strayer and then to grandchildren. 1 HECKART, William Boyd b: 26 Oct 1838 in Shelbyville, Shelby Co., MO d: 13 Aug 1933 in Oroville, Butte Co, CA Burial: Clear Creek Cem, Butte Co, CA Note 4: Never married. Note 5: Bet. 1862 - 1865 Co A, 3rd IA Reg, 21st Iowa Inf. Note 6: Wounded twice; severed at Gettysburg, blinded eye, crippled arm. Note 8: 1865 Returned to Aunt Eliz. Heckart Strayer, Freeport, IA, after Civil War, weakened/wounded. Note 9: Bet. 1865 - 1866 Father/family had already left for Calif; followed immediately with another wagon train. Note 13: 20 Sep 1876 Land transaction, T021N, R003W, sec 14, Butte Co, CA. Note 15: 1881 Listed: 240acres, Butte Co, IA. Note 22: 1884 Miller on Heckart's Pentz Ranch, Butte Co, CA. 7/PA-1903/CA. Photo Mar 30, 1875, supplied by Linda Hoffman/May2010. 1 HECKART, Nancy J. b: 1844 in Walkerville Mill, Salt.River.Twp, Shelby.Co.MO d: 23 Mar 1882 in Heckart Ranch, Oroville area, Butte.Co.CA Burial: Old Oroville Cem, sec C, row 2, Butte Co, CA Note 13: Burial marker shared with husband. 2 LEONARD, Sarah L. b: in Oroville area, Butte.Co.CA Burial: Old Oroville Cem, sec C, row 2, Butte Co, CA Note 3: Burial marker shared with father. 2 LEONARD, Ethel E. b: 1878 in Oroville area, Butte.Co.CA d: 24 May 1882 in Oroville area, Butte.Co.CA Burial: Old Oroville Cem, sec C, row 2, Butte Co, CA Note 3: Burial marker shared with father. 10, 1898/Ormanville area, GreenTwp, Wapello.Co.IA. Pics from Cindy of the Yost line. 1  HECKART, Christopher b: 17 Nov 1830 in Dauphin Co., PA d: 10 Nov 1898 in Ormanville, Green Twp, Wapello Co, Iowa Burial: Ormanville Cem., Wapello Co., IA Note 4: Called Christy. Note 6: 1862 Moved Ralls.Co.MO to Hancock.Co.IL Note 7: Bet. 1862 - 1865 Civil War, Co. K, 119th ILL Vol. Inf. Note 10: Bet. 1865 - Oct 1868 Farmed Hancock Co, IL (west side, near Quincy). Note 12: 1868 Listed as voter in Saline Twp, Ralls Co, MO Note 14: 1870 Census, Bowling Green P.O., Cuiver Twp, Pike Co, MO. Note 16: Aft. 1870 Moved, Green Twp, Wapello Co, Iowa Note 22: 1887 Hist; farming 80a, Ormanville area, Green.Twp, Fay.Co.IA. 2 HECKART, Bertha b: 1871 in Pike Co, Mo or Green Twp, Wapello Co, Iowa. 2 HECKART, Oliver b: 1872 in Green Twp, Wapello Co, Iowa? 2  HECKART, John Henry b: 26 Nov 1874 in Green Twp, Wapello Co, IA d: 31 Mar 1939 Note 1: One child. .. +PREAVOR, Rosa Elizabeth (DeValt) b: 04 Mar 1849 in Clinton Co, Kentucky d: 01 Sep 1910 in Ottumwa, Wapello Co, Iowa m: 14 Nov 1879 in Fowler, Colorado Note 5: Six children by 1st marriage (Preavor). 1, 1898/Ormanville area, GreenTwp, Wapello.Co.IA. Pics from Cindy of the Yost line. 1  HECKART, Michael b: 10 Apr 1822 in Dauphin Co, PA d: 21 Dec 1898 in Ormanville area, Green.Twp, Wapello.Co.IA Burial: Pleasant Ridge Cem, Ormanville, Green Twp, Wapello Co, Iowa Note 3: 14 Jul 1822 Baptism by Johannes Warfel? Note 6: Bet. 1838 - 1844 On Yost's farm, sec 33, Saline Twp, Ralls Co, MO. Note 10: Abt. 1840 Apprenticed carpentry from bro. Jonathan. Note 16: 1844 Joined Big Creek Presbyterian Ch, Rev. Cochran, Ralls Co, MO. Note 18: Bef. 1848 Carpentry job, Moyer farm, met wife, sec 31, T55N, R7W, Jeff. Twp, Monroe Co, MO. Note 19: Bet. 1848 - 1849 Entered 90a, NE of Ormanville, Green.Twp, Wapello.Co.IA. Note 20: 1850 In fall, moved from Ralls Co, MO to Green Twp, Wapello Co, Iowa Note 24: 1887 Hist; famring 200a, sec 22 & 28, Ormanville area, Green.Twp, Wapello.Co.IA. Note 25: Known for fine stock breeding farm. Note 26: Bet. 1850 - 1898 Farmed, Ormanville area, Green.Twp, Wapello.Co.IA. Note 29: Aft. 1898 Dau Ruth, 14y, took over farming for family. Note 29: Aft. 1898 Dau Ruth, 14y, took over farming for family. .. +MOYER, Mary Ann b: 07 Apr 1828 in Northumberland Co, PA d: 14 May 1883 in Ormanville area, Green.Twp, Wapello.Co.IA Burial: Pleasant Ridge Cem, Ormanville, Green Twp, Wapello Co, Iowa m: 06 Apr 1848 in Big Creek Presb. Ch?, Ralls Co, MO Father: Adam MOYER Mother: Sarah HUTCHISON Note 3: Given name? Mary Martha? Note 5: Died from pulmonary infection. 2  HECKART, Martha Mattie Eleanor b: 19 Mar 1854 in Ormanville area, Green.Twp, Wapello.Co.IA d: in Long Beach, LosAngles.Co.CA Note 5: 1897 In Salida, CO Note 7: After husb. Phineas died, to CanonCity, CO, with bro. John. Note 9: No children. ... +SPANGLER, Samuel b: 16 Nov 1849 in Muskingum.Co.OH d: in Long Beach, LosAngles.Co.CA Father: Daniel SPANGLER Mother: Sarah BERRY Note 5: After marriage to Martah, moved LongBeach, CA. Note 6: Drove team on Knotts Berry Farm. 2 HECKART, William Orr b: 05 Feb 1860 in Ormanville area, Green.Twp, Wapello.Co.IA d: 10 Dec 1919 in Lane Co, Oregon Note 5: No children Note 7: 1887 Hist; carpenter in Neb. Note 8: Nebraska > Corvallis, OR > Eugene, OR. Note 9: Carpenter and farmer. ... +HAWK, Laura Carrie b: 18 Jun 1863 m: 20 Dec 1883 Note 3: Surname analogs; Hawk, Howk. 2 HECKART, Joseph Elder b: 23 Aug 1864 in Ormanville area, Green.Twp, Wapello.Co.IA d: 06 Mar 1950 in Lincoln, Benton.Co.MO Burial: Crown Hill Cem, Sec 2A, Sedalia, Pettis.Co.MO. Note 9: Abt. 1888 Did not care for step-mother. 'Stole off' with to be wife Nancy to Sedalia, MO; i.e. Cindy. Note 12: Aft. 1935 Moved, Lincoln, MO aft. death of wife. ... +FRENCH, Nancy Rosetta b: 24 Nov 1864 in Muskingum.Co.OH d: 13 Apr 1935 in Sedalia area, Pettis.Co.MO Burial: Crown Hill Cem, sec 2A, Sedalia, Pettis.Co.MO. m: Dec 1889 in Green.Twp, Wapello.Co.IA. Father: Reuben FRENCH Mother: Martha J. SPANGLER Note 7: Ward of John Adam Heckart, bro. of Joseph Elder, husb. to be. .. +BACHMAN, Rosan b: Jan 1854 in Iowa d: 01 Sep 1910 in Ormanville, Green Twp, Wapello Co, Iowa m: 17 Sep 1884 in Wapello Co., Iowa Father: Frederick L. BACHMAN Mother: Susannah SPANGLER Note 1: Father born in Germany; mother in PA. Note 5: 1900 Census; family head, 6 children, & sis-in-law Mary Ann Heckart. 2 HECKART, Ruth Servilla b: 15 Dec 1885 in Ormanville area, Green.Twp, Wapello.Co.IA Note 5: 1898 Took over farming, age 14, for family after father's death. Note 6: 1898 Farmed original 1848, 90acre's, NE of Ormanville, Wapello.Co.IA. 2 HECKART, Milda Alice b: 18 Mar 1888 in Ormanville area, Green.Twp, Wapello.Co.IA Note 5: Lived Akron, OH, in later years. 2 HECKART, Frederick Lawrence b: 21 Feb 1896 in Wapello Co, IA Note 4: Called, Elf. Note 6: Farmed, NW corner, Davis.Co.IA. 1 HECKART, John Adam b: 19 Jul 1813 in Lower Mahanoy Twp, NMBA Co, PA d: 01 Sep 1897 in Heckart Ranch, Mesilla Valley, near Pentz, 6mi S of Paradise, Butte Co, CA Burial: Clear Creek Cemetery, near Pentz, Butte Co, CA Note 1: 10 Jan 2007 Last reviewed; Barry Zbornik, Hannibal, MO, iowaz@hotmail.com Note 2: Adam Heckart is at the top of my genealogy 'Hero' list!! BZ Note 7: Some of Adam's children may have used the Heckard spelling. Note 11: 1838 Removed to Shelbyville area, Shelby Co., MO from PA. Note 12: Bet. 1838 - 1840 Farming & milling sec's 3&4, T57N,R11W, 5mi SW of Shelbyville, Shelby Co, MO. Note 13: Bet. 1840 - 1849 Involved building/running Walkerville Mill on Salt Riv, sec 18, T57N, R10W, Shelby Co, MO. Note 15: Bet. 1849 - 1852 Strayer/Heckart bought old Clinton Mill, Monroe Co, MO. Note 16: 1849 Clinton/Jonesburg, sec 33, T56N, R9W, Wash. Twp, Monroe Co, MO. Note 19: Bet. 1849 - 1850 To gold fields at Sullivan's Creek, Butte Co, CA. Note 21: Bet. 1851 - 1852 Strayer/Heckart, steamboat, Hannibal to Lansing, IA, to explore U. IA Riv. for mill sites. Note 22: Bet. 1851 - 1853 Entered land on U.IA. Riv, Decorah/Freeport area, Winn. Co, IA. Note 23: Bet. Oct - Nov 1852 Families moved, Monroe Co, MO > Freeport, Winn. Co, IA. Note 24: 1852 On Tax Roll's for Winnesheik.Co.IA. Note 25: Bet. 1853 - 1856 Built & ran mill at Freeport with John Strayer. Note 26: Bet. 1855 - 1856 May have been the 2nd or an additional trip to the gold fields. Note 29: 1865 3rd trip to CA, captained 40 wagons & 140men from IA. Note 27: Bet. 1859 - 1860 2nd gold trip > Pikes Peak, CO > Sullivan's Creek, Butte Co, CA. Note 28: Abt. 1864 Union Army, Calv. Officer, age 50+. Note 29: 1865 3rd trip to CA, captained 40 wagons & 140men from IA. Note 30: Bef. 1865 Lifetime partner with bro/law John Strayer; never say after. Note 31: 1883 Built bridge across Feather Riv @ Nelson Bar, with J.G. Curtis, Butte.Co.CA. Note 35: Bet. 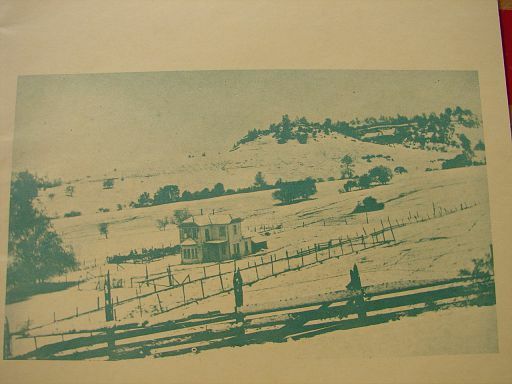 1866 - 1897 Ran with sons, Heckart Ranch, Pentz area, Butte Co, CA. Note 36: Bet. 1838 - 1897 Mill Wright, farmer, gold miner & water "engineer", explorer, rancher. .. +BOYD, Elizabeth b: 1817 in PA d: 25 May 1903 in Cherokee, Pentz area, Butte Co, CA Burial: Clear Creek Ce,, Butte Co, CA m: Abt. 1835 in Pittsburgh, Allegheny Co, PA Father: Unknown BOYD Mother: UNKNOWN Note 1: Sister of William Boyd, married to Martha Heckart, dau of John Adam, Sr.
2 HECKART, Mary Elizabeth b: 1837 in Butler Co. in western PA d: 25 May 1865 in Colorado; father's wagon train to Calif, after birth of Alice/Allie. Burial: Along wagon trail in CO, on way to Calif. Note 1: 01 Feb 2007 Last edited; Barry Zbornik, Hannibal, MO, iowaz@hotmail.com Note 3: 03 Jun 1865 Dau Alice (Allie E.) burial markers birth date? Note 4: 03 Jun 1865 May be Mary E. Heckart's death date? Note 5: Children raised by her parents, John Adam and Eliz Boyd Heckart. ... +SNYDER, Henry C. b: 20 Jan 1834 in Wayne Co, Ohio (or IN?) d: in Susanville area? CA m: 13 May 1858 in Freeport, Winneshiek Co., Iowa Father: Jacob SNYDER Mother: Frances LAYMAN Note 1: 01 Feb 2007 Last edited; Barry Zbornik, Hannibal, MO, iowaz@hotmail.com Note 7: 1843 To Elkhart Co, IN with parents. Note 9: 1855 IN to Freeport area, Winn. Co, Iowa Note 11: 1859 Trip to gold fields with father-in-law Adam Heckart. Note 13: 1865 Family on Adam Heckart wagon train to Calif. Note 15: 1871 Johnstonville, Lasson Co. mills, Calif. Note 17: Miller, miner, rancher. 2 HECKART, William Boyd b: 26 Oct 1838 in Shelbyville, Shelby Co., MO d: 13 Aug 1933 in Oroville, Butte Co, CA Burial: Clear Creek Cem, Butte Co, CA Note 4: Never married. Note 5: Bet. 1862 - 1865 Co A, 3rd IA Reg, 21st Iowa Inf. Note 6: Wounded twice; severed at Gettysburg, blinded eye, crippled arm. Note 8: 1865 Returned to Aunt Eliz. Heckart Strayer, Freeport, IA, after Civil War, weakened/wounded. Note 9: Bet. 1865 - 1866 Father/family had already left for Calif; followed immediately with another wagon train. Note 13: 20 Sep 1876 Land transaction, T021N, R003W, sec 14, Butte Co, CA. Note 15: 1881 Listed: 240acres, Butte Co, IA. Note 22: 1884 Miller on Heckart's Pentz Ranch, Butte Co, CA. 2 HECKART, Nancy J. b: 1844 in Walkerville Mill, Salt.River.Twp, Shelby.Co.MO d: 23 Mar 1882 in Heckart Ranch, Oroville area, Butte.Co.CA Burial: Old Oroville Cem, sec C, row 2, Butte Co, CA Note 13: Burial marker shared with husband. 2 HECKART, Francis Augustus b: 06 Dec 1854 in Freeport, Decorah Twp, Winneshiek Co., Iowa d: 15 Feb 1928 in Oroville, Butte Co, CA Burial: Clear Creek Cemetery, Butte Co, CA Note 1: 01 Feb 2007 Last edited; Barry Zbornik, Hannibal, MO, iowaz@hotmail.com Note 5: Bio, marriage, info in 'notes.' Note 8: 1865 IA to Butte Co, CA, 11yrs old, with father. Note 10: Abt. 1875 Entered 160a, homesteaded 160a, cattle ranch land, Butte Co, CA. Note 12: 1881 Listed: 160 acres, Butte Co, CA. Note 13: 1884 Working Heckart Ranch, Pentz area, Butte Co, CA. Note 15: Bet. 1880 - 1925 Working Heckart Ranch with father, then siblings. Note 17: 1903 Married late in life, no children, adopted Joseph Note 18: Aft. 1904 Adopted Joseph, as a troubled youth who became successful. ... +PEARCE, Annie Laura b: 19 Jan 1869 in Lyon Co, IA d: 05 Nov 1951 in Butte Co, CA Burial: Paradise Cem, Pioneer Section, Paradise, Butte Co, CA. m: 12 Aug 1903 in Oroville, Butte Co, California Father: George Bright PEARCE Mother: Olivia AKIN Note 1: Ranch wife Note 2: Teacher at Stoneman, Clear Creek, Mesilla Valley schools, Butte Co, CA. Note 3: Bet. 1895 - 1896 Teaching, Clear Ck. Sch, met Frank. 2 HECKART, Gertrude Emily b: 08 Oct 1855 in Freeport, Decorah Twp, Winneshiek Co., Iowa d: 06 Apr 1933 in Oroville, Butte Co, CA Burial: Clear Creek Cem, Butte Co, CA Note 1: Never married. Note 6: 1930 Living next to bro. William. .. +STRAYER, John b: 13 Jul 1818 in Lykens farm, Dauphin Co, PA d: 11 Sep 1878 in Freeport home, Winneshiek Co, Iowa Burial: 1878 Freeport M.E. Church Cemetery, lot #1. m: 24 Dec 1840 in Methodist Ch (Bacon Chapel), sec 9, Salt River Twp, Shelby Co., Missouri Father: Valentine STRAYER Mother: Catharine BEALEY Note 3: 1838 Migrated, age 20, Shelby Co, MO, with Heckart families. Note 4: 1840 Involved, building, Walkersville Mill, Shelby Co, MO. Note 5: 1844 Running Walkersville Mill with Heckart brothers. Note 6: 1849 Bought Clinton Mill, Monroe Co, MO, with Adam Heckart. Note 8: Bet. 1851 - 1852 Explored, min. 2 trips, made original entry, Freeport/Decorah on Upper Iowa River. Note 10: Bet. 1852 - 1853 Sister Catherine & husb Andrew Sheetz are in MO for move to Freeport area. Note 11: Abt. Apr 1853 Removed families to Freeport, Winneshiek Co, Iowa. Note 12: Bet. 1852 - 1854 Built first Freeport area sawmill, followed by grist mill. Note 13: Bet. 1853 - 1878 Lived rest of life in Freeport. Note 15: Bet. 1855 - 1856 Brother George came to Freeport, IA, likely from Dauphin Co, PA. Note 18: Acitve Methodist Church builder, four locations. Note 22: 1876 Two pictures available, bz/2000. ... +SNYDER, Aaron A. b: 03 Sep 1835 in Waynesboro, Wayne Co, IN d: 02 Dec 1903 in Trout Run farm, near Freeport, Winneshiek Co, IA Burial: Freeport M.E. Church Cemetery, lot #1. m: 19 May 1869 in Freeport Meth Ch, Winneshiek Co, IA Father: Jacob SNYDER Mother: Frances LAYMAN Note 4: 1857 IN to Freeport farm, Winneshiek Co, IA Note 9: 1885 Atlas, patron; General Merchandise & Produce, Freeport, Winn.Co.IA. Note 10: Merchant & postmaster in Freeport, Winn.Co.IA. Note 11: Age at death; 65y7m9d. Note 19: Died of paralysis. 2 STRAYER, Elizabeth Lydia b: 1846 in Farm on Salt River, sec 3 or 4,T57R11W, Salt River Twp, Shelby Co, MO, 4mi W of Shelbyville, Shelby Co, MO d: 12 Apr 1904 in Home, 2619 Wells St, Milwaukee, Wisc. Note 1: Called Libby. Note 4: 1878 Residence, Calmar, Winneshiek Co, Iowa. Note 6: 1887 Teacher/principal. Note 7: 1893 Lived Mason City, Dubuque, moved to Milwaukee. Note 11: Marriage? Calmar, IA? ... +MANCHESTER, Albert E. b: 1847 in Wisc. d: Aft. 1910 in Milwaukee, Wisc. m: 19 Oct 1871 in Freeport, Winneshiek Co., Iowa, by Rev Wheat, at house of her parents. Note 5: Father b. Vermont; mother Canada (English). Note 7: Lived in Beaver Dam, WI Note 11: Supt. of Motive Power, Chi Milw & St. Paul RR. Note 13: 1910 Census; Supt. of Milwaukee RR, Wells St, 16th ward, Milwaukee, WI. Note 14: 1910 Census; Dau, Alice E. Mooney, husb Harry E., gdau Catherine A. living with. 2 STRAYER, Margaret b: 1847 in Farm on Salt River, sec 3 or 4,T57R11W, Salt River Twp, Shelby Co, MO, 4mi W of Shelbyville, Shelby Co, MO d: Bef. 1850 in Shelbyville area, Shelby Co, MO Burial: Possibly Bacon Chapel Cem, 4mi E, Walkerville, Shelby Co, MO, bz/2000. Note 1: Called Maggie. 2 STRAYER, Valentine Eugene b: 12 Nov 1848 in Farm on Salt River, sec 3 or 4,T57R11W, Salt River Twp, Shelby Co, MO, 4mi W of Shelbyville, Shelby Co, MO d: 14 Nov 1937 in Fayette, Fayette Co, Iowa Burial: 1937 Fayette's Grandview Cemetery, Sec A, Lot 31, Westfield Twp, Fayette Co, Iowa. Note 5: 1850 Clinton/Jonsebury, Monroe Co., MO Note 7: 1853 Freeport, Winneshiek Co., Iowa Note 9: Bet. 1867 - 1869 Upper Iowa University, Fayette, Iowa Note 11: Bet. 1871 - 1874 Principal of Calmar Schools Note 12: Abt. 1874 Spent first year of marriage in CA; returned to Calmar. Note 14: Aft. 1874 Hardware store, in Calmar. Note 17: Abt. 1893 Farm, Spring Valley neighborhood, N. of Fayette. Note 20: Bet. 1894 - 1895 Sold Calmar Hardware, tinner at Cresco, IA. Note 23: 1896 Bought Col. Brown's farm, 2m SW, Fayette. Note 26: 1918 Moved from farm into Fayette for rest of life. ... +PARSONS, Mary Elizabeth b: 10 Jan 1852 in Elgin, Kane Co, Illinois. d: 27 Jun 1944 in Fayette, Fayette Co., Iowa Burial: Fayette's Grandview Cem, Sec. A, Lot 31, Westfield Twp, Fayette Co, Iowa. m: 11 Dec 1873 in West Union, IA Father: David Gilson PARSONS Mother: Adelia BUTLER Note 1: 1857 Fayette, IA, with parents, from Elgin, IL Note 2: 1944 Death at 92yrs5mo16days Note 3: Schooled: Fayette & Upper Iowa University. Note 4: Taught school a few terms. 2  STRAYER, John Adam Little b: Dec 1849 in Old Clinton/Jonesburg area, Wash. Twp, Monroe Co, MO d: 1936 in St. Petersburg, Florida Burial: 1936 Elmwood Cem, Mason City, Iowa Note 5: Natural parents; Richard & Mary Heckart Little of Monore Co, MO. Note 6: 1851 Natural parents died, MO typhoid/cholera epidemic. Note 8: 1851 Adopted by aunt Elizabeth Heckart Strayer (and John Strayer). Note 9: Was called John Adam Little Strayer. Note 11: 1875 Merchant in Decorah at time of marriage. Note 14: Bet. 1881 - 1927 Lived Mason City, IA; locomotive Engineer, 46y, Chi/Mil/StP. Note 26: Bet. 1927 - 1936 Spent his last nine winters in Florida. ... +UNKNOWN, Alice b: Abt. 1860 in NY Note 1: Listed as wife of John Adam at his death. ... +SHEETZ, Lucy Catharine b: 16 Aug 1855 in Sec 12 farm, Freeport, Decorah.Twp, Winn.Co.IA d: 28 Jul 1914 in Mason City, Cerro.Gordo.Co.IA Burial: Elmwood Cem, Mason City, Cerro.Gordo.Co.IA m: 06 May 1874 in Andrew Sheetz farm home, Freeport, Winn.Co.IA Father: Andrew SHEETZ Mother: Catharine STRAYER Note 6: Married by Jos. Cammerah, bk b, p237, ref Lila/2000 Note 12: 1914 Mary Heckart Little, Ralls Co, MO, attended funeral (Lila, 2005). 2 STRAYER, Ruth D. b: 1852 in Old Clinton Mill, Wash.Twp, Monroe.Co.MO d: 24 Jan 1897 in Idaho.Springs, Clear.Creek.Co.CO Note 8: Born MO, just before move to NE Iowa. Note 10: 1871 Came from Freeport.IA to marry first cousin, Jacob Boyd, son of Wm. Note 15: Abt. 1882 Moved MO to Idaho Springs, CO Note 17: 1885 Census; confined, family in Gilpin.Co.CO. ... +MCINTOSH, Alexander M. b: 1850 in Ohio d: 09 Jul 1936 in Independence, Buchanan Co, Iowa m: 09 Nov 1873 in John Strayer home, Freeport, Winn.Co.IA Note 3: Parents born; Ohio. Note 4: Abt. 1872 Methodist rev. & teacher; Freeport Note 6: 1880 Census; teaching in Freeport, Decorah Twp, Winneshiek Co, IA. Note 7: 1880 Living in Freeport, IA, near George Strayer (uncle-in-law) & Eliz Strayer (mother-in-law). Note 14: 1910 Census; Meth. Minister, Rock Grove Twp, Floyd Co, IA. 2 STRAYER, Lucinda Boyd b: 16 Aug 1856 in Freeport, Winneshiek Co, Iowa d: 19 Mar 1922 in Decorah/Freeport, Winneshiek Co, IA. Burial: 23 Mar 1922 Phelps Cem, Decorah, IA Note 1: Died of a Carcinoma of abdomin Note 2: Freeport, Iowa, entire life. Note 3: 13 Jun 1855 Obit death date; 66y8m6d. Note 4: Called Lou. 2 STRAYER, Eber C. b: 1858 in Freeport, Winneshiek Co, Iowa d: 10 Sep 1912 in Cresco, Howard Co, IA. Note 1: 1878 Harware in Calmar. Note 2: 1897 Sheet metal shop in Cresco, IA Note 3: Death, sucide. 2 STRAYER, Eva D. b: 29 Jul 1860 in Freeport, Winneshiek Co. Iowa d: 24 Oct 1879 in Calmer, Winneshiek Co, Iowa Burial: 1879 Freeport M.E. Church Cemetery, lot #1. 2 STRAYER, Cora Adelle b: 01 Dec 1863 in Freeport, Winneshiek Co, Iowa d: 20 Dec 1938 in Denver, Arapahoe.Co.CO Note 9: 1897 Williams.St, Denver.CO. Note 11: 1920 Censes; widow, seamstress, Ruth, Frank, Wm's St, Denver.CO. ... +KNIGHT, Aaron b: 19 Mar 1859 in Freeport, Decorah Twp., Iowa d: 30 Dec 1913 in Denver, Arapahoe.Co.CO m: 06 Mar 1881 in Freeport. Winn.Co.IA Father: Darwin Erasmus Eratus KNIGHT Mother: Mary SHEETZ Note 11: Tinsmith in Cresco and Calmar with the Strayers. Note 13: 1900 Census; letter carrier, Williams.St, Denver, Arapahoe.Co.CO.